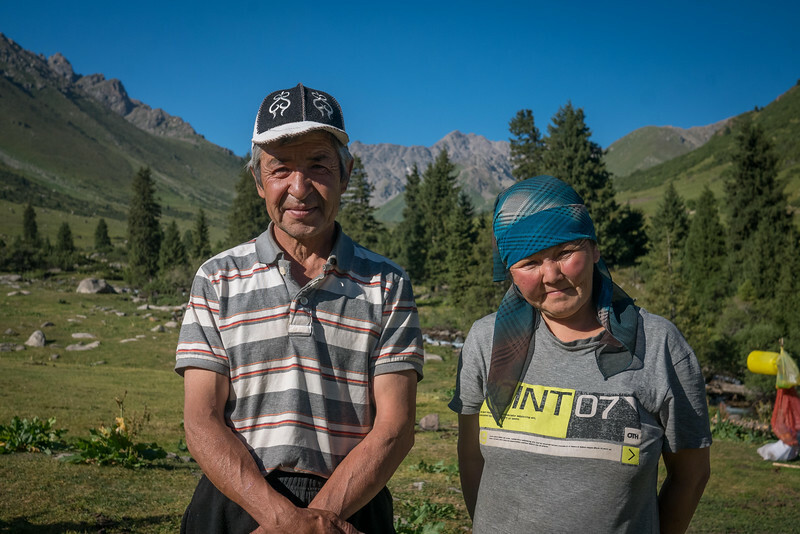 Around the time that I was struggling to hold down my breakfast, hiking at a clipped pace across the wild Kyrgyz countryside and up a mountain, I realized a few things needed to change. Having just finished hiking 500 miles of Spain’s Camino de Santiago a few weeks earlier, I was fit enough for the hike, but not yet acclimated to the altitude, or the breakneck pace. Motioning my guides into a sunny pasture, I collapsed amidst the wildflowers, flushed and thoughtful. Was there a gentler path to the peak we sought, I asked? Could we slow the pace, add breaks where my guide explained the way of life for the Kyrgyz nomads living nearby? His knowledge fluid and his smile quick, my guide began pointing out passes among the distant snowy peaks—that’s where he once hunted sly wolves in the dead of winter. And that visible break in the tree line usually boasted sightings of wild animals native to the region (though we were unlucky to spot not a one). He spoke of snow deeper than my wildest imagination some years, and told stories of his family hunkering down in the nearby yurt camp, content in a way of life Kyrgyz nomads have practiced for millennia. I listened, captivated. I made notes, assessed potential, and continued hiking. Hours later, I bounced around ideas for adjustments to the tour with representatives from the local tourism team—a brand new non-profit Destination Marketing Organization (DMO) in the infancy stages of developing English-language tourism in this region of Kyrgyzstan. 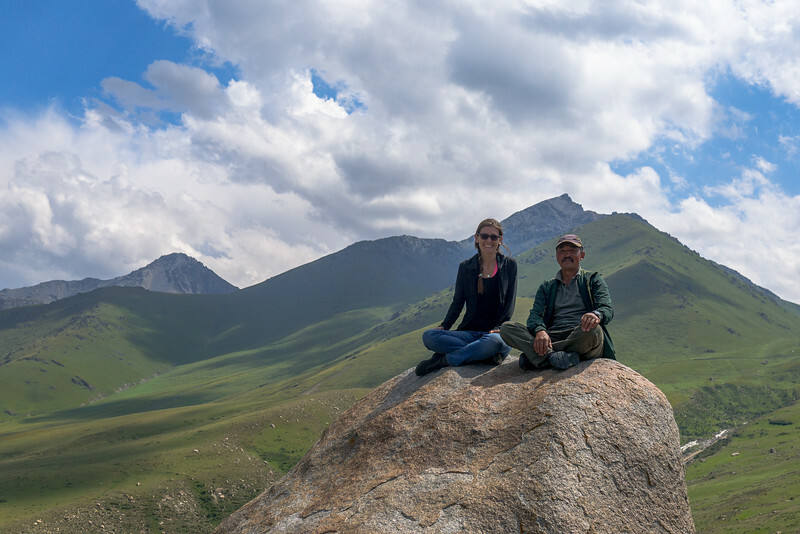 Working together, we created an itinerary and program for the hike that matched the potential and interest of tourists with the skills and knowledge of local Kyrgyz guides. It was my second day on the job in Kyrgyzstan as a consultant for a United States Agency for International Development (USAID) project that had spent the previous three years laying the groundwork for a new layer of tourism infrastructure for the country. A giddy sense of collaborative power seeped into me when I collapsed into my bed that night. For years, I’ve written stories underpinned by the central idea that, when done right, tourism can be a powerful force for good. 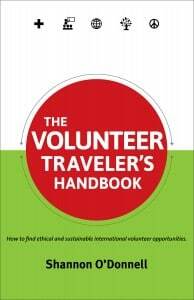 Pairing my book that discussed the ethical pitfalls of international volunteering (a point of view endearing me to few in that industry) with stories of innovative social enterprises from around the world, I have shared hard-won personal perspectives from my decade on the road. My overriding message: responsible tourism is a guiding mindset, not a catchy buzzword. That said, I had never been more than tourist and sometimes expat in these places. Although I’ve seen tourism destinations on every range of the spectrum—from the glitzy shine of Paris’ many tours and kitschy souvenirs to hillside villages with nary a guesthouse or restaurant in sight—I had never considered what it takes to create a travelable destination. Sustainable tourism only functions well when layers of prep work first ensure a destination has an equitable, community-driven plan to manage tourists and distribute economic benefits across both urban and rural areas. To work long-term, tourist influxes must slot into a purposefully-crafted infrastructure offering places to sleep, trained local guides for hire, and intriguing travel experiences that respect and honor the region’s cultural and environmental value. But that intricate process is just the beginning. The world’s most celebrated travel destinations have identified the unique expectations they can meet once tourists arrive. It’s not a lark when you dream of the food in Italy, the beaches of Fiji, or the wildlife in Tanzania—each destination has developed experiences that not only create a cohesive brand identity, but reinforce its unique selling point once you arrive. For 10 years, I have partaken the final product of tourism as I hopscotched the globe, but never before had I been involved in the foundational stages—the ground floor of creating an entirely new network of experiences that tourists will use for years to come. The project ended in June, and while it was a dead-sprint to the finish line, I am equal parts proud of the results and fascinated by the complex insights bubbling to the surface from my time working with the talented multinational crew who pulled it off. I’ve learned more new things about this industry than I dreamed possible. And guys, I loved the work. I have long believed that tourism can be the greatest redistribution of wealth from developed to developing countries. This idea has kept me on the road, kept me sharing here on A Little Adrift, and elsewhere, too. If we travel with a commitment to infusing money locally, it can profoundly effect the very real people living where you travel. As a tourist, I believed this as truth. I spoke about this at universities, just last week at a travel conference, and next month at a conference in Russia. It’s my main message honed over a decade of travel. Now, after witnessing a new side of tourism development, I know it as truth. Here’s how it went down, and a few of the lessons learned from immersing in the flip side of travel industry. The USAID Business Growth Initiative involved other sectors beyond tourism, but supporting travel and tourism was my singular focus (which, you know, totally makes sense). Kyrgyzstan was among the safest yet more difficult “Stans” to travel. 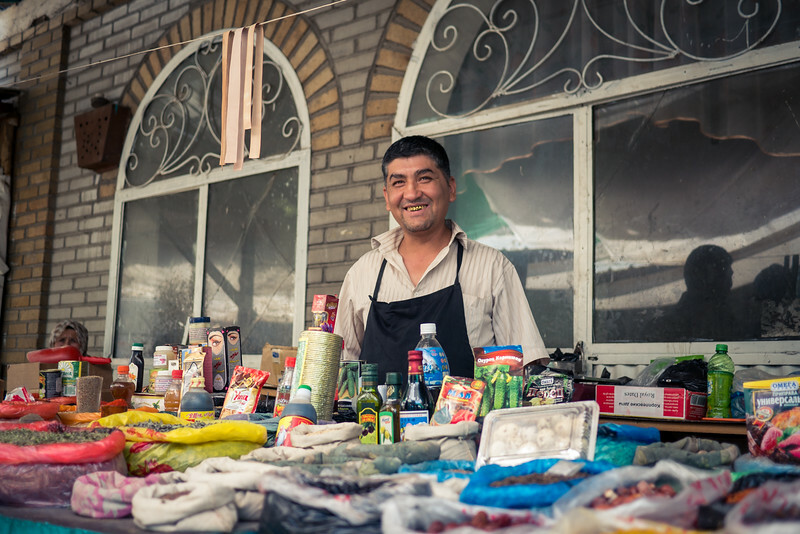 Kazakhstan had a fair share of the region’s tourism industry, proving out the interest, so the USAID project would boost the capacity of Kyrgyzstan to compete for independent tourists from destinations outside of the region—appealing foreigners, like me. What’s more, the project elements that I worked on were a fraction of the tourism project’s scope, which also included the extensive mapping of trekking routes, road signs in English at key points for those road-tripping it, capacity building on the actual hospitality side, and more. My friends Dan and Audrey—fellow travelers, tourism consultants, and two of my favorite friends gifted to me by this life on the road—helped architect the tourist-facing side of this new tourism industry. They assessed five destinations across Kyrgyzstan for tourism potential—what was the unique identity of each location that would attract travelers from all over the world? What tours, products, and services would entice travelers to stay longer once there, thus infusing money into the local economy? They exhaustively surveyed everything someone could do in each place, and whittled the list to the most fascinating, immersive, and cultural experiences they should do. When I joined the project in July 2017, a dozen tour products were under development, new experiences that would highlight the best of the region’s culture and food. 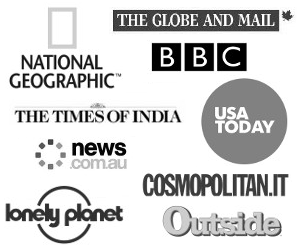 My role: tell a compelling story for each destination through four local tourism websites. I would write all the content to ensure a wealth of accurate, actionable online travel information so independent travelers could not just visit Kyrgyzstan, but craft an incredible itinerary. I would use my background in sustainable travel and storytelling, coupled with my twelve years of SEO expertise, to solidify the distinct branding of each destination and surface information the rest of the tourism team had spent years putting in place. Dan and Audrey spearheaded the tech side, and together we launched four English language websites into the wild. During my in-country visits, I would also test and finalize tours the DMOs would eventually run for international tourists. 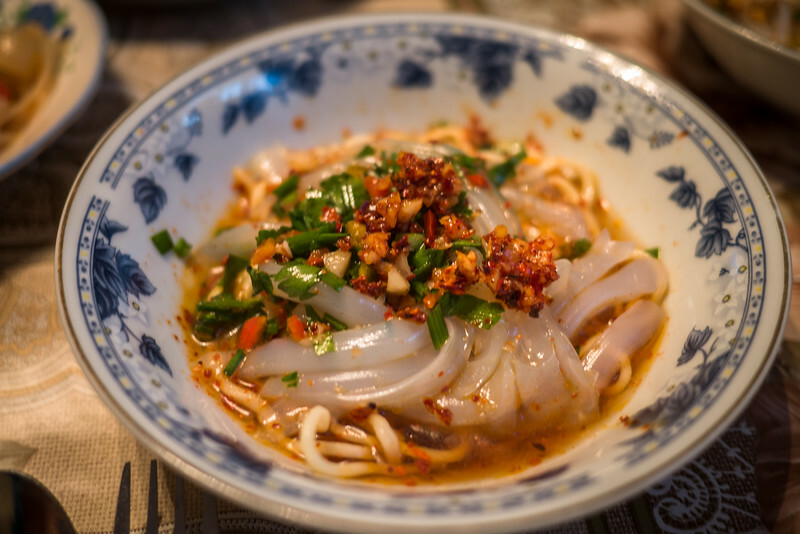 That’s how I found myself running up a peak in the Pamir-Alay Mountains and taste-testing each of the vegetarian-friendly food tours—poor me, right! 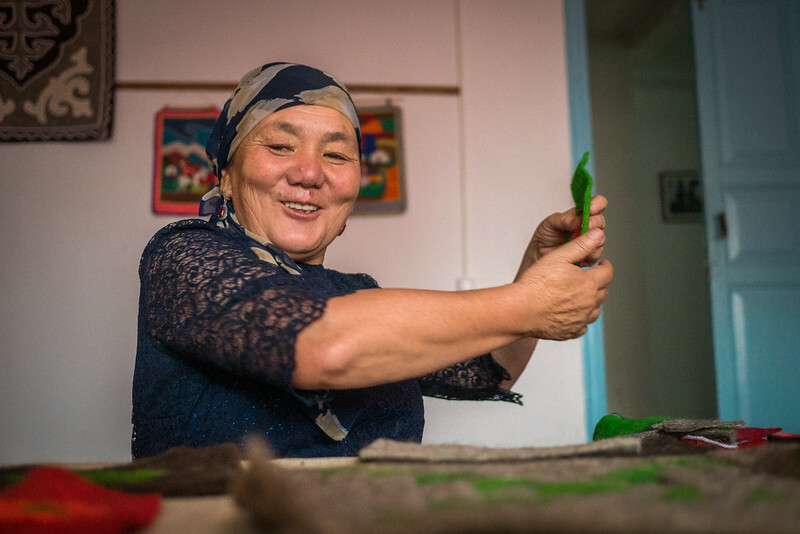 Everything created during this Kyrgyzstan project included the aspects that I have always taken for granted. It’s not just that the project put up road signs and “you are here” maps in the city-centers (which it did), but it resulted in hand-crafted experiences for tourists from the moment they hit the ground. Over many months and a lot of work, the entire team—passionate locals working everyday alongside foreign consultants—created visible and invisible layers of welcome. The visible: bus routes accessible in English, friendly staff at local tourist information centers, printed maps and brochures, thousands of miles of new GPS and marked trails through the Kyrgyz mountains, and a tourism website curating local knowledge and offering a comprehensive one-stop-shop for everything you might need to know to travel effectively in the Kyrgyz Republic. The invisible: a cohesive brand meticulously presented to guide tourists through the myriad things to do, guesthouse owners trained to understand dietary restrictions like celiac and vegetarianism, mountain guides with first-aid training and the right gear to bring tourists into the mountains, and tours designed and marketed in alignment with the interests and expectations of foreign tourists (while ensuring every offered activity respects the local culture). It wasn’t enough to bring tourists to Kyrgyzstan—in fact, it would harm if undertaken without consideration for, and dialogue with, those with actual skin in the game: local communities. In the four core communities ultimately benefiting from this project, local tourism businesses united under a Destination Marketing Organization (DMO) operating as a nonprofit social enterprise. These hotels, restaurants, and tour operators would support the DMO’s efforts to develop local tours and interface with tourists, all the while funneling money back into projects that would better the local community—things like a new playspace for children in one of the villages; free wifi in the city center of another; and a gorgeous, redesigned riverside space to host festivals, concerts, and more. And you know what—it was a lot of work! Local staff numbered in the dozens, everyone collaborating to fine-tune the details of a connected tourism web spread across five cities spread all over Kyrgyzstan. Things that off-the-path travelers chalk up as story-worthy misadventures—confusing transport days and delightful cultural snafus—were issues to fix, not glorify on the pages on a travel blog. While it’s impossible to mitigate all potential misadventures (and those truly do make for great stories), if they happen at every turn then a destination earns a reputation as “difficult to visit,” a death knell for increasing mainstream, independent tourism. And more than anything, everyone on the project was hopeful that this project could move the needle on Kyrgyzstan’s indie tourism industry. 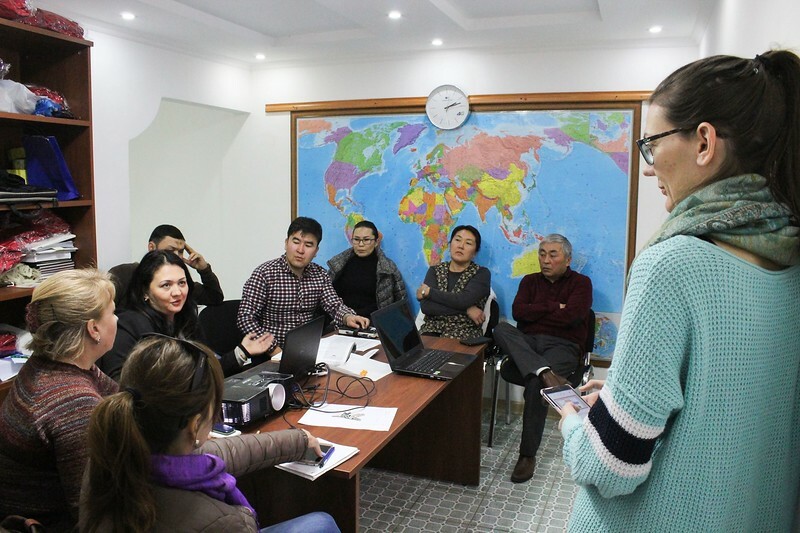 I LOVED the idea deeply and was all-in on immersing in each destination so I could help them craft a story compelling enough to lure North Americans and Europeans to the rugged peaks of the Tian Shan range and the cozy fireplaces of local yurt camps. Kyrgyzstan charmed me, wholly and completely. The locals I met embraced every new challenge—hospitality training courses, capacity building sessions, and SEO and social media workshops (that was me), to name three. All with the hope of a tourism industry that was possible, but no surety. So, what was the outcome this effort, which took just under a year of my life and far more time for the others on the project? Four complete websites representing four DMOs located across the country highlighting practical travel information alongside the 40+ fascinating tours and treks developed and tested. A special cultural and culinary identity for each city and village reinforced by a blogger/influencer campaign in summer 2017 (if you saw photos of Kyrgyzstan everywhere last fall, that’s why!). A network of tours running across the country that ultimately end with locals having more money in their pocket, and more say in developing a local tourism industry in the manner they believe will best benefit travelers and locals alike. (Before this, international tour operators primarily shaped the country’s tourism industry). Social media accounts and training on best practices that lure future travelers to Kyrgyzstan with beautiful photos of all these destinations offer. Sustainability across the board—the USAID project has ended and handed everything over to the locals now running these websites, tours, and tourism experiences. 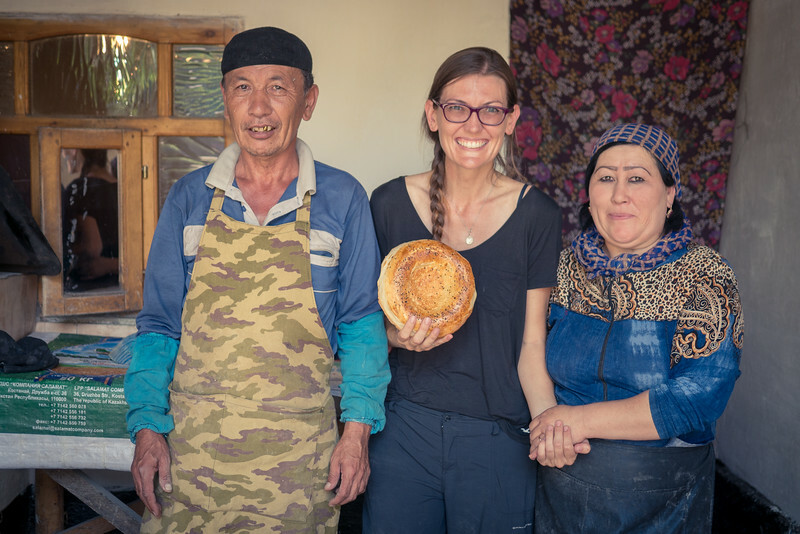 We enticed travelers through food tourism in Karakol—a food crawl, ethnic Dungan dinner, and mai tokoch bread-making tour. 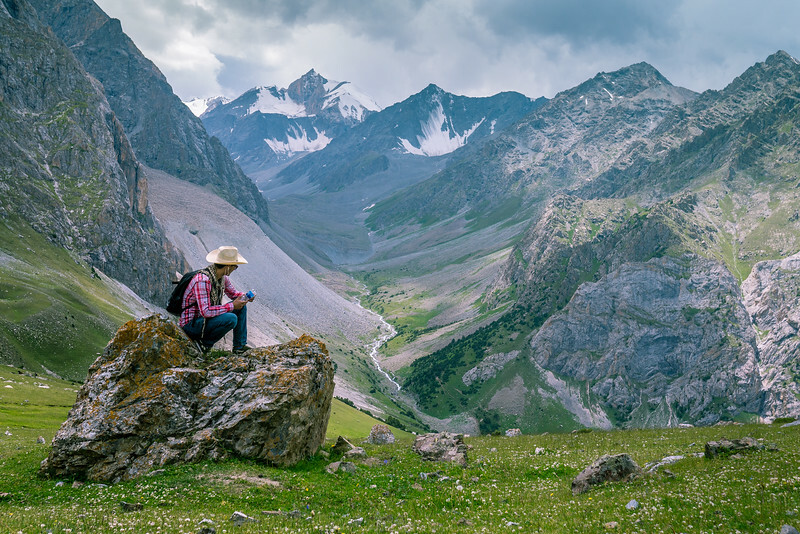 Jyrgalan needed little more than a few photos to lure nature-lovers to this unspoilt village, now a byword for authentic Kyrgyz hospitality and beautiful hiking in what was once a former mining town suffering from decline and poverty. The South Shore of Lake Issyk-Kul holds the cultural heart of the country, where folk music tinkles across yurt camps. 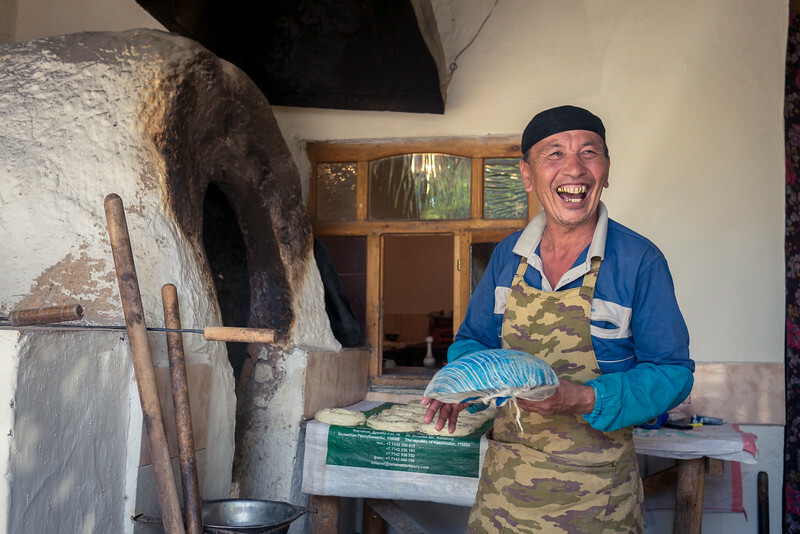 And historic Osh beckons with sprawling bazaars, welcoming locals, and a long culinary history influenced by its pivotal position on the ancient Silk Road. 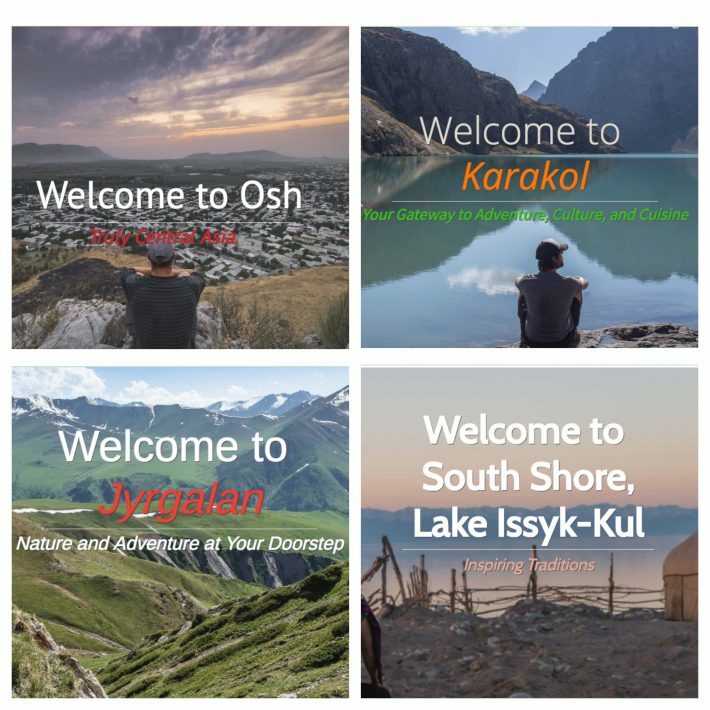 Homepages for the four tourism websites: Osh, Karakol, Jyrgalan, and South Shore. If that doesn’t pique your interest then I have failed at year’s worth of work. 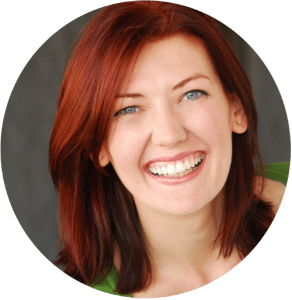 Because that’s what I did, I wrote those websites and did a fair bit of consulting and capacity training, and even more listening—I permanently parked my assumptions and instead relearned the industry from the ground up. Learning from our local team members about their vision for tourism, and about the cultural and natural aspects of Kyrgyzstan that they were most proud to share with the world. I am humbled and grateful for the team of people I worked with on this project—I surely learned more than I offered in return. So I offer thanks to the DMO staff in each place: I am still here, watching your Instagram accounts. I’m a cheerleader behind the scenes sending good vibes to your cities and villages as you bravely make your way through the surge in tourism I hope ever-increases (manageably) in the coming years. And a thanks to everyone at the USAID Business Growth Initiative in Bishkek—the tourism team members were master puppeteers orchestrating a complex dance connecting everyone as we launched these destinations into the world. 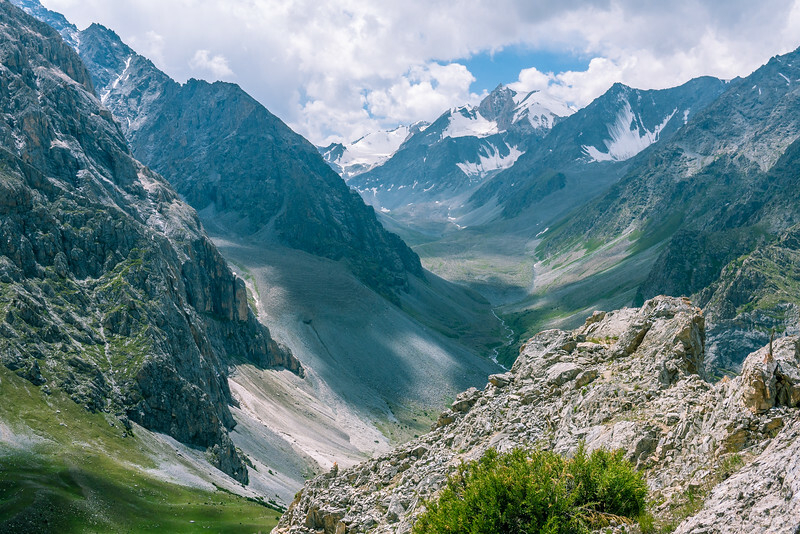 With the Tian Shan mountain range of Central Asia firmly in my rearview mirror, I am more committed than ever to promoting travel as one avenue of support for developing countries—an effective way to infuse money directly into the local economy. When done well, tourism can profoundly impact not just the travelers in search of transformative cultural experiences, but the very real people living, dreaming, and working in the places we’re fortunate enough to travel. The contents of this article and website are the sole responsibility of the author and do not necessarily reflect the views of USAID or the United States Government. Great read Shannon. Thank you for sharing insights. Thank you for this! I love to travel but want to do it sustainably. How do I find organizations like the DMO in different countries to ensure I contribute to the local economy but also environmental conservation? Thanks! Ohh, thank you!! I really appreciate the info! 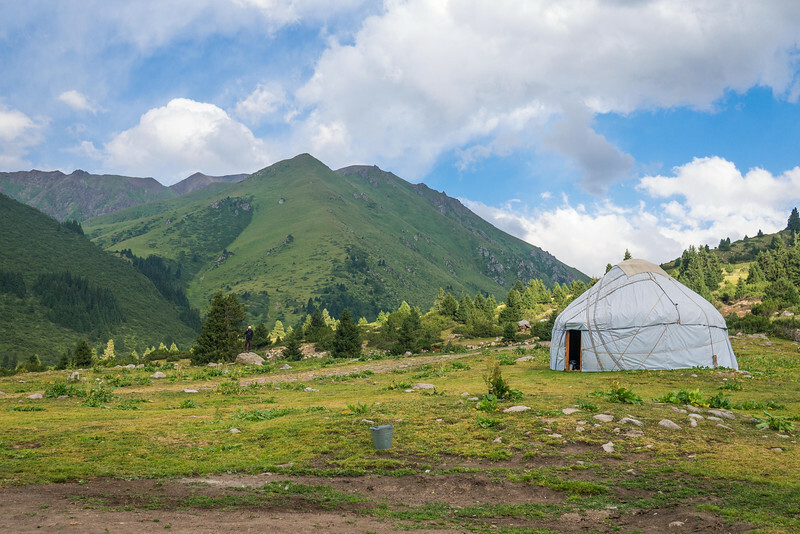 It was fascinating reading about Kyrgyzstan and your insight into sustainable tourism! This is so amazing! And so much of what I’ve been seeking to discover and be a part of! I love that you laid out the BTS process that goes into it and that you’re showing real opportunities to be a part of a meaningful mission in an important industry. 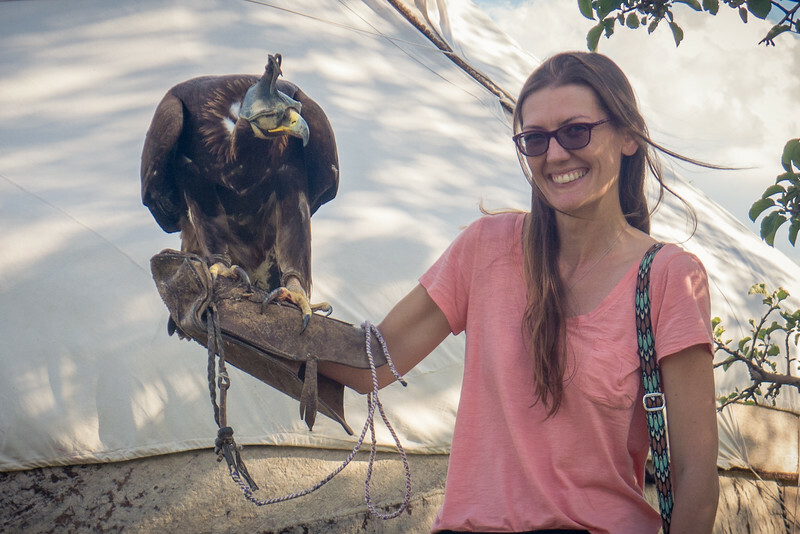 I’m a sustainability program designer for live events and an avid traveler and it’s been my dream to be more involved in sustainable tourism development. I have loads of program and operations management and have worked in the food and hospitality industry. I’ve also degrees in sustainable urban planning. Would you have any recommendations on platforms or places to seek out a career in this field? I’m in a state of career transitioning so any advice would be much appreciated! It’s very difficult to navigate since there’s not really a set of roles in sustainable tourism as of yet. So glad the piece resonated Lisa! I agree that it can be so hard to find these opportunities. In my case, friends I met years ago were brought onto the project, and they brought me on when they saw there was a need for my skillset. I’d love to do more work in this field but also struggle to have the right in-roads—since many development projects last just two to six years, it’s hard to have long-term connections. I know that the development community is smaller than you’d think though, so connecting with others online and at conferences is where I would start! Then, like you, I am hoping enough people know me that when a tourism project comes up, my name is considered! Great article. I never thought of tourism as a way of transferring wealth, but it makes sense. This may be a little off topic, but I am taking my family on a 2 month camper van trip across Europe and would like to know of some online sites I can visit that would have tourism information for rural areas and small villages of Europe. Do you know of any such resources? I love being immersed in new cultures when traveling abroad, not tourist traps! What an amazing experience for you Shannon! To really getting to know what goes into making somewhere a tourist destination and making sure that the locals actually benefit from it, would be so rewarding. I must also say that you did a good job as I’m about to put Kyrgyzstan onto my bucket list. Well done and congratulations. Wow, amazing :) Thank you so much for sharing your travelling experiences and insight! First, this is amazing. Congratulations on all this hard work–which I am so grateful to know about. Just wow. Second, thank you so much for your kind and imperative talk in Austin. I’m so grateful I was able to attend and see those who are positively focused on the importance of all of this in the travel world. You are doing amazing things and helping others make a big difference in how they can experience this world. We need more of you!! THank you so much Kristin! It was wonderful to meet you and I am so glad that the talk resonated with you. Please let me know if and how I can help you in the future! What is the title of the book you mention and your last name?